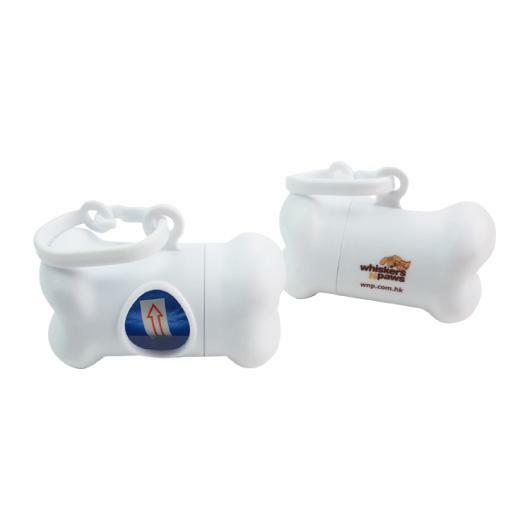 Bone shaped dog waste bag dispensers. 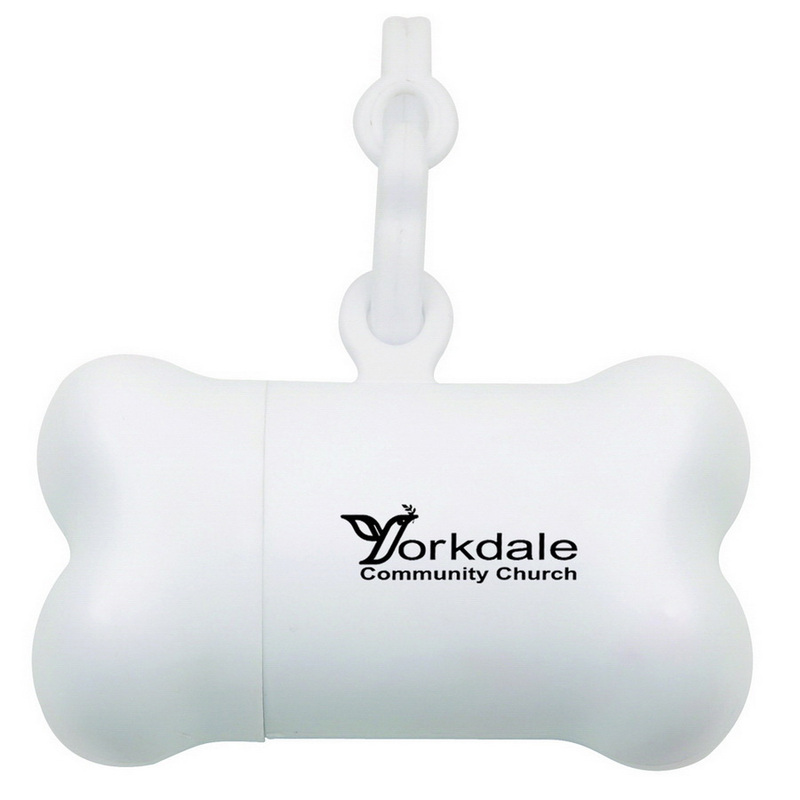 These bone-shaped waste bag dispensers are a great way to promote your business! They're easily clasped onto a dog lead or belt or bag, and feature a comparatively large branding space that means greater visibility for your message. Each dispenser contains 15x waste bags.